Hi Everyone! Stopping by with a super quick post for World Cardmaking Day! 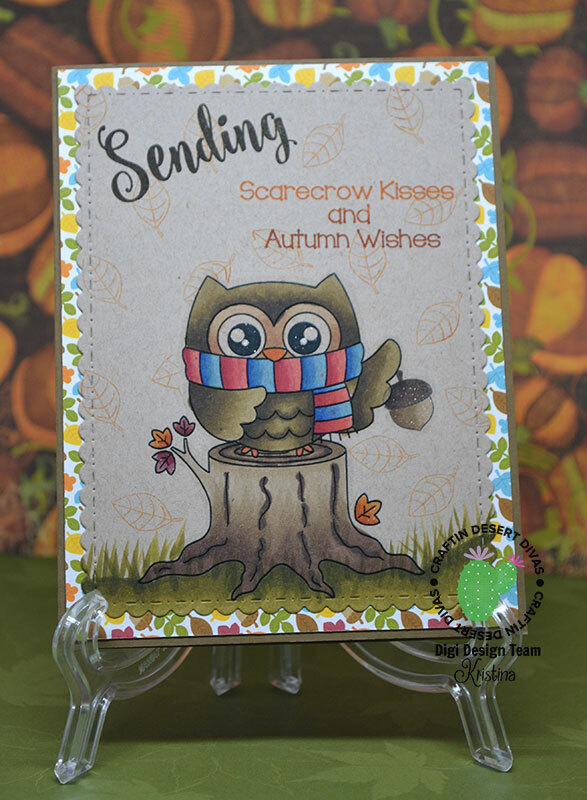 This adorable owl is a digital stamp from Craftin Desert Divas. This time I printed my image on kraft colored cardstock and colored it with Copic Markers. I stamped the little orange leaves all around the image. The sentiments are from two different stamp sets. Sending was stamped in a very dark brown and wishes with orange & burgundy. I added the little acorn because it looked like he was all set to hold something. I of course had to had some sparkle with my wink of stella pen on the little leaves and the acorn. 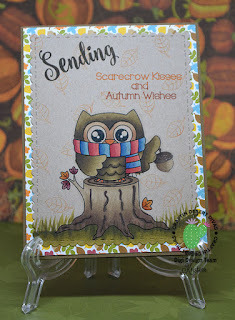 Supplies used are: Owliver, Fancy Frames dies, Autumn Wishes, and Wishful Thoughts. I hope everyone got a chance to do a little crafting today!